Virtual Debit card means prepaid card. It is like a normal debit card, but it is virtual, not real. This type of card is also known as Electronic Card or e-card. You can use this card only for online transactions. It is an easy and secure way of transacting online without providing card information. If you are looking for a good virtual debit card here is a list of Free Virtual Debit Card in India for online payment. 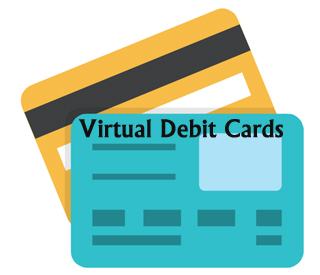 A virtual Debit card is a virtual card available either online at the website or inside Mobile banking app. You can use this card for doing shopping online. Virtual debit cards are cheaper compared to a physical card as no expense is involved in creating and shipping. Virtual Card cannot be used at PoS machines or ATMs for cash withdrawal or for recurring/ installments payments or for any other transaction that requires a physical card. The key features of the virtual card are given below. The cash limit of this card is low. This card is valid until the expiry date which is mentioned on the card. This card can be created anytime online after validation. It is easy to use this card. Any customer having internet banking facility with transaction rights can create a virtual card. No additional interest as a card is generated by using deposited amount in the account. It is secured to use this card as card number is new and usage is mostly allowed only once. Kotak 811 is the first Free Virtual Debit Card. Kotak 811 Virtual Debit Card is offered on mobile banking app. This card is generated automatically once you open Kotak 811 account. To get your virtual debit card details, tap on 811 on the home screen of Kotak Mobile Banking App. You can find the card number, validity date on the front of the card and tap on ‘show’ to get your CVV details. You can use this debit card to make an online purchase. It’s an international virtual debit card. Axis bank also offers virtual or online debit card. This card is offered complimentary on Axis ASAP account. This virtual debit card can be accessed online using internet portal or banking app for axis bank. You can get reward points on the usage of the virtual debit card. You can also opt for a physical debit card. Your virtual card will be blocked on receipt of the physical debit card. State Bank Virtual Card is a limit Debit card, which can be created using the State Bank Internet Banking facility. The maximum amount of card permissible with SBI is Rs.50000. SBI virtual card is valid for 48 hours or for a single transaction. A customer of SBI can create virtual card anytime. SBI card is issued by marking a lien on the selected account and actual debit to the account will take place only when the Card is used. SBI virtual card is a domestic debit card. You can use this card for online payment in Indian rupee only. HDFC NetSafe is an online secure payment solution by HDFC. The NetSafe allows you to generate virtual card by using existing physical card. You can daily generate 5 virtual cards. This card is valid for 48 hours. The maximum limit of this card is Rs.75000. Why one should use Virtual Card? A virtual card has no physical existence and it can be used only for the specific time period. It is less risky to use this card for an online transaction. The card usage is protected via OTP, which is sent only to a customer’s registered mobile number. This means a chance of fraud is very less. As this card does not exist physically it cannot be cloned. The virtual Debit card has a low limit and it can be used only for online transaction. If you are a frequent user of a credit card for doing online purchase, you should think of using a virtual card as an alternative to a physical credit card.